I am in love with this idea for a fun miniature fridge banner from Lisa Storms. Not only would it be a cute way to decorate for a party, it is a fun way to mark any special occasion. You could make some fun banners for birthdays, holidays, even just the weekend! A great way to brighten anyone's day while they are getting in the fridge to grab the milk. 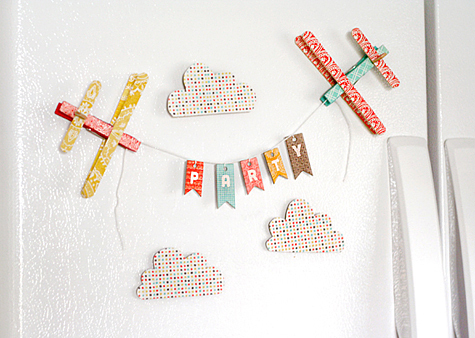 You can check out how to make this fun mini fridge banner over at BasicGrey.